Asghar Farhadi is creditable Iranian director and every film made by him can be a prominent event in the Iranian cinema. He started his career in television and stage plays by making attractive series who established him as a new talent. His first feature, Dance in the Dust, cast Faramarz Qaribian and was greatly welcomed at that year’s Fajr International Film Festival, though the welcome was not overwhelming. He then made Shahr-e Ziba casting Taraneh Alidousti which revealed other angles of his creativity and art. The important point about both films was his lack of interest in commonplace themes. He usually opted for attractive and novel motifs. His third film, Fireworks Wednesday, which cast Hedyeh Tehrani proved that he has come of age and nobody could doubt his directing abilities anymore. About Elli has been the pinnacle of his professional career about which many critiques have been written in the past two years. Nader’s Separation form Simin is the name of his new film which is about a young couple going to get divorced until a surprise event brings them close. One has just wait to see whether Farhadi’s fifth work will be as laudable as About Elli. 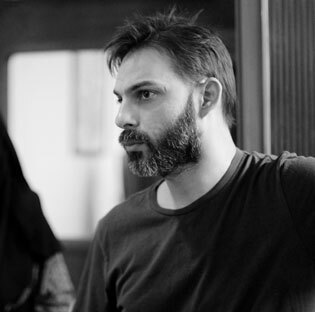 Nader’s Separation form Simin casts Leila Hatami and Peiman Mo’adi in the leading roles. Farhadi has also worked with Shahab Hosseini in his previous film that was cast along with Merila Zare’ei who has also appeared in a short part in the new film. Apart from such similarities, the new work is in some ways different from his past film. The most important change, perhaps, is a change in crewmembers from Hossein Ja’farian (as director of photography of Farhadi’s past two films) to Mahmoud Kalari. Ja’farian, whose cinematography greatly helped Fireworks Wednesday and About Elli has been replaced by Kalari who usually works with famous directors. Kalari has, thus far, worked with such big names as Massoud Kimiaei, Nasser Taqvai, Abbas Kiarostami, Ali Hatami, Mohsen Makhmalbaf, Rakhshan Bani-Etemad, Ebrahim Hatami-Kia, and Dariush Mehrjui and is among the most skillful cinematographers of Iran. Crewmembers include Negar Eskandarfar (project manager), Hayedeh Safiyari (editor), Fatemeh Abolqasemi (production director), Mahmoud Sammakbashi and Mehdi Ebrahimzadeh (sound recordists), Keivan Moqaddam (production manager), Mehrdad Mirkiani (makeup), and Hamid Reza Qorbani (assistant director and planner). Other actors and actresses include Shahab Hosseini, Sareh Bayat, Sarina Farhadi, Babak Karimi, Ali Asghar Shahbazi, Shirin Yazdanbakhsh, and Kimia Hosseini.